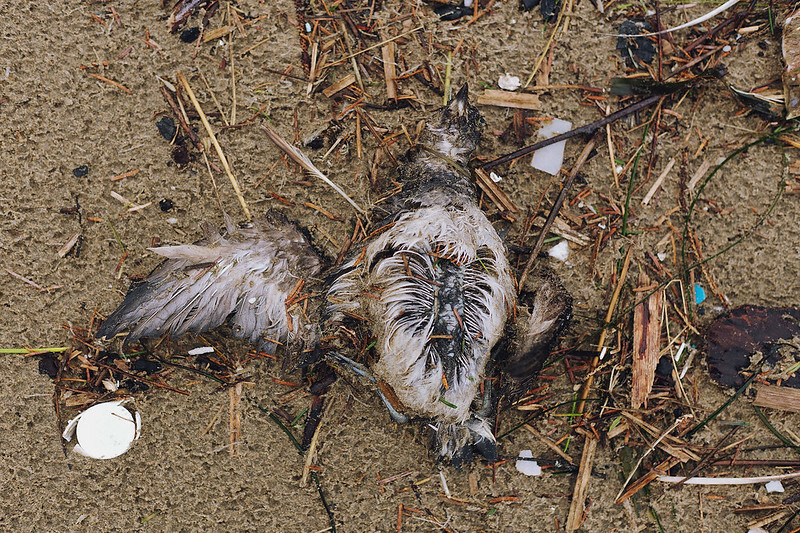 I was pretty excited to see the foggy, stormy beach as soon as we got to Cannon Beach on our Oregon trip, but one of the first things I noticed was a dead seabird half-buried in the sand. 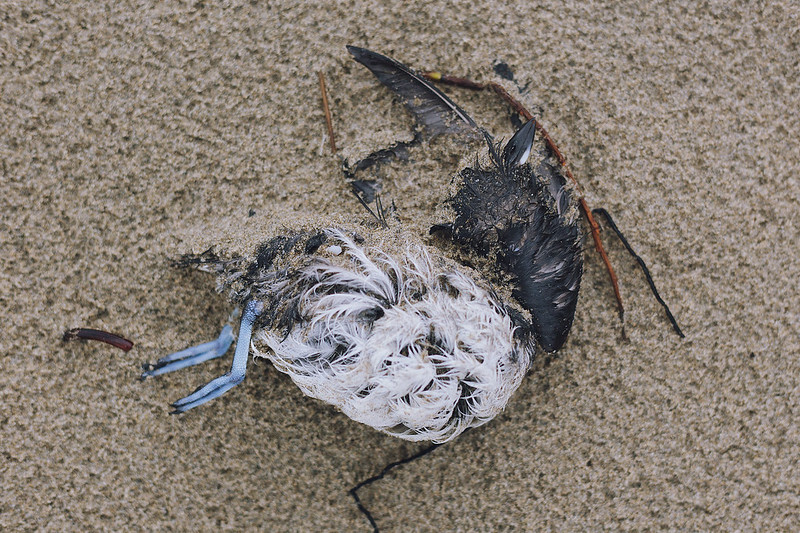 I took some pictures of it and then kept walking… and then kept seeing the same type of bird dead every few feet. This was not my typical walk on the beach keeping an eye out for dead things. In some spots it felt like there were piles of birds. 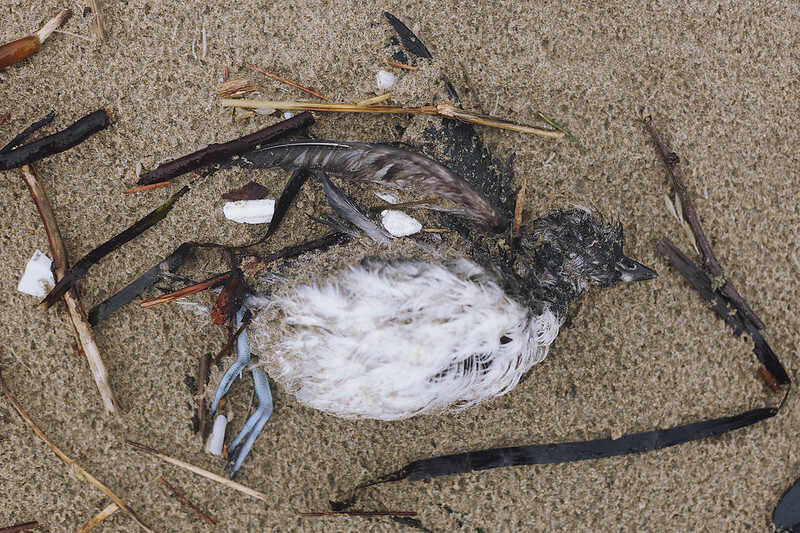 It was a fascinating sight but also very sad, and I kept wondering why no one else seemed to be noticing and why I hadn’t heard anything about this mass seabird die-off. I searched on my phone for some information and turned up nothing. It was really strange. 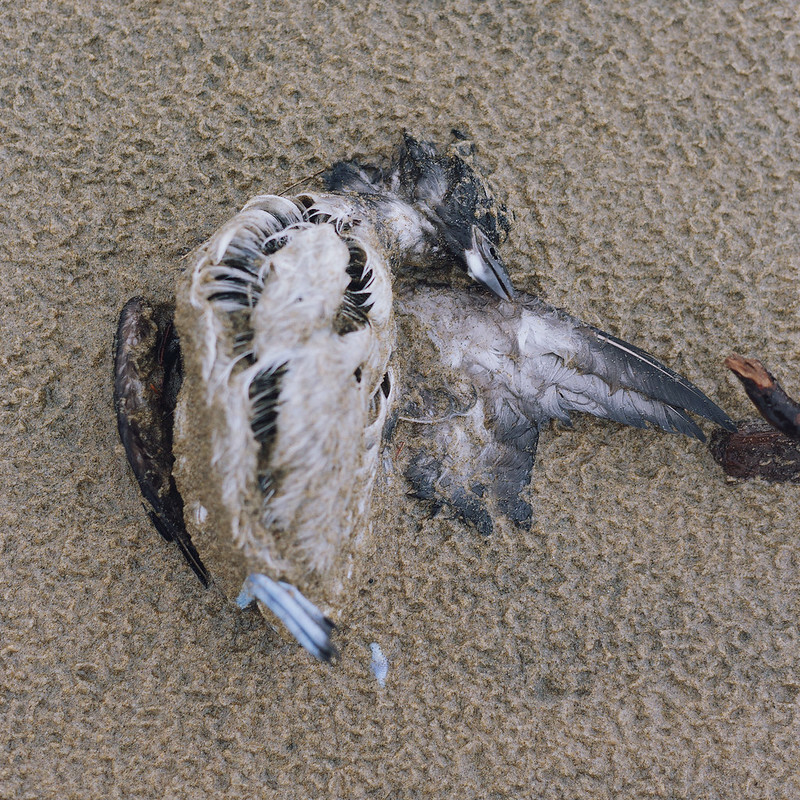 When I got home to Kansas, though, I looked it up again and there were a few articles published about the birds, called Cassin’s auklets. 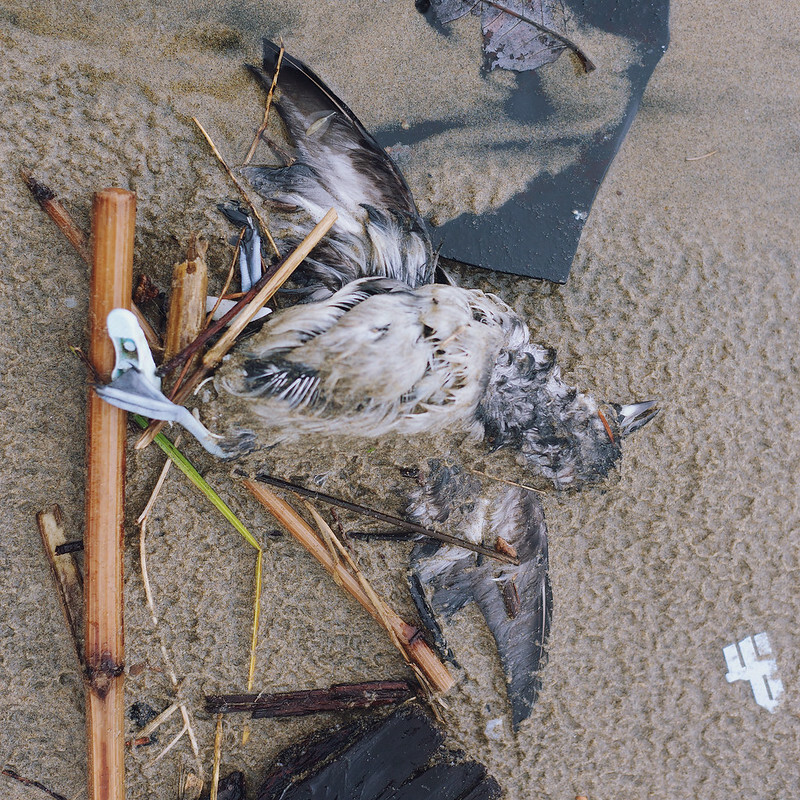 Turns out they had just started washing up on the coast in droves the weekend before we were there. 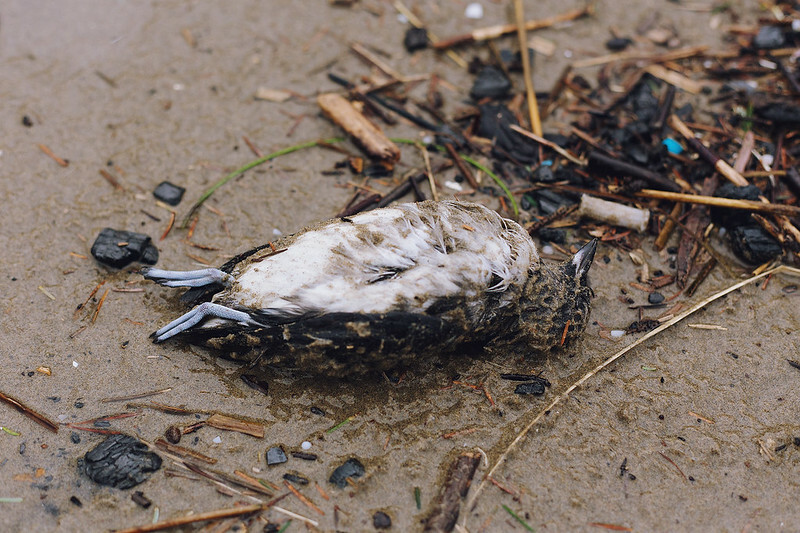 As of January 6, “preliminary estimates suggest that tens of thousands of these birds are washing ashore, at the rate of 10–100 times ‘normal. 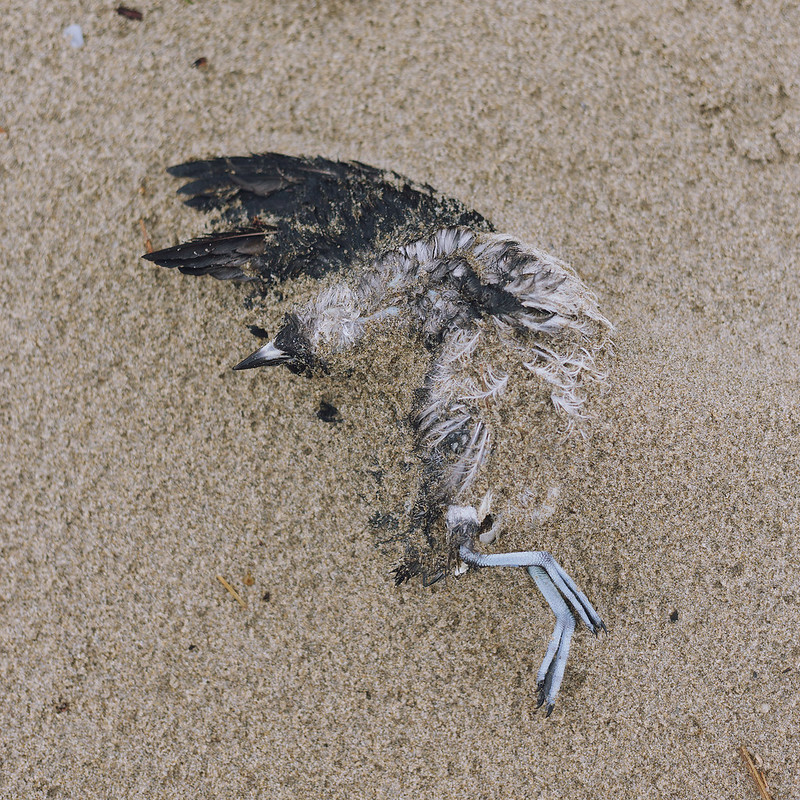 '” And although postmortem exams conducted on a majority of the dead birds indicated emaciation and starvation as the cause of death, the exact cause is unknown (from January 5). 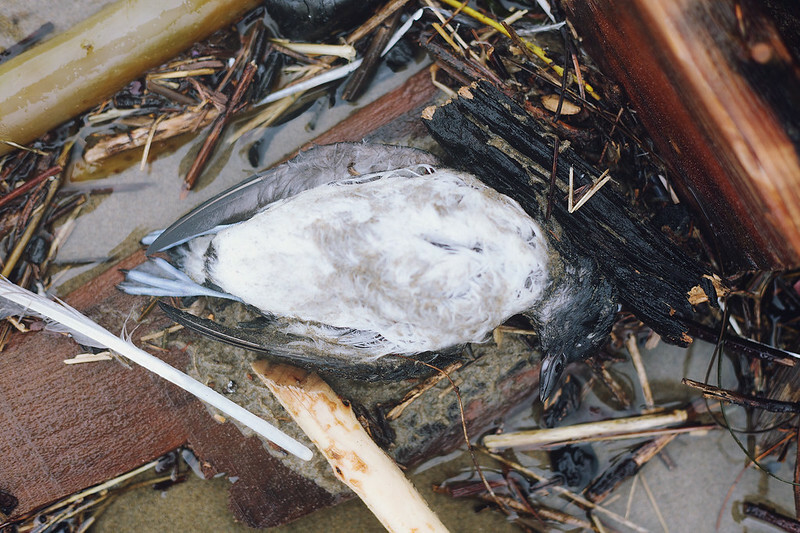 On some beaches the Cassin’s auklet death toll was a hundred times greater than any bird die-off ever tallied there, and six times worse per kilometer than the body count recorded after the 1989 Exxon Valdez oil spill in Prince William Sound, Alaska. 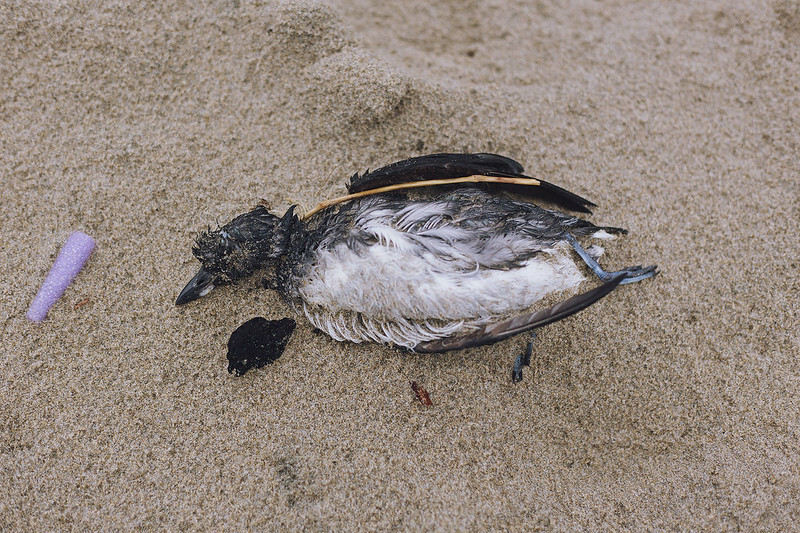 The auklets’ bright blue feet are so stunning (I read “fresh specimens show blue-ish feet (3 webbed toes, no hind toe)”) and the positions they’re in are heartbreaking, sprawled out or in little lumps in the sand. A really poignant sight. Wow, that’s so tragic. I wonder what happened to cause such an unprecedented number of deaths? 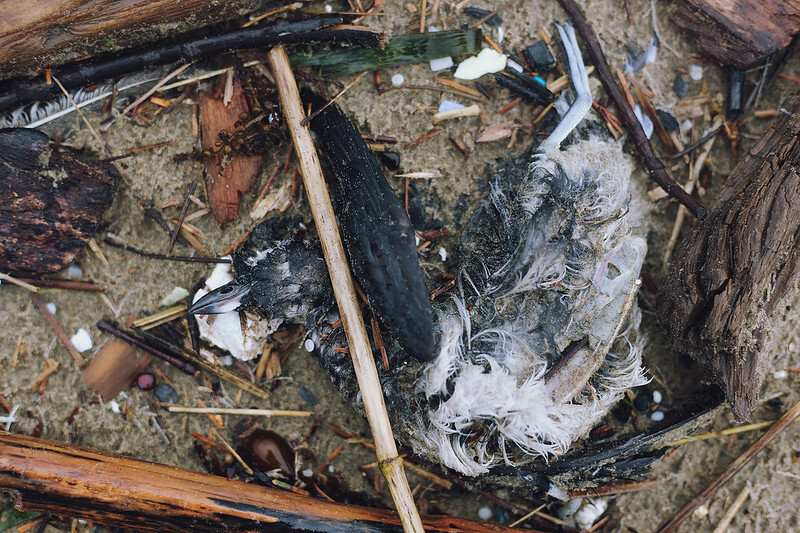 It’s so easy for people to ignore environmental problems at sea because we can’t see it, but stuff like this is scary. 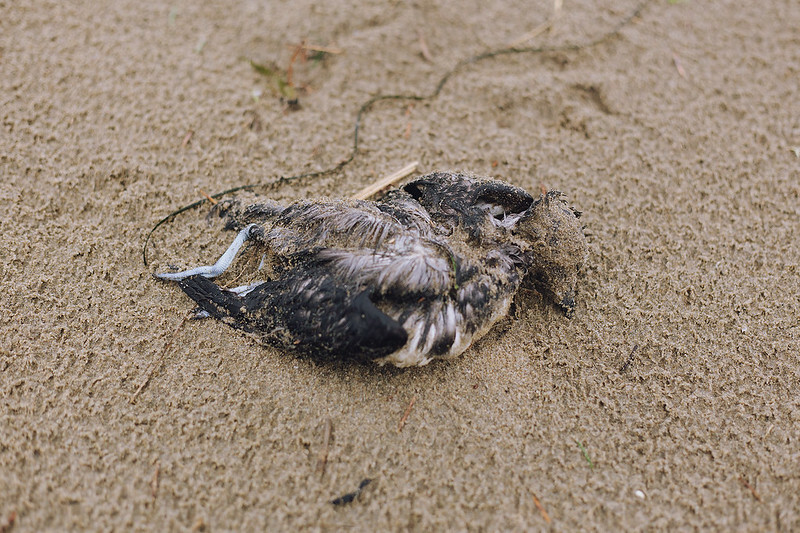 The most popular opinion is that it’s due to increasingly warmer waters :( It’s super sad, and yeah, many people don’t seem to know or care about the status of ocean creatures, even seabirds. 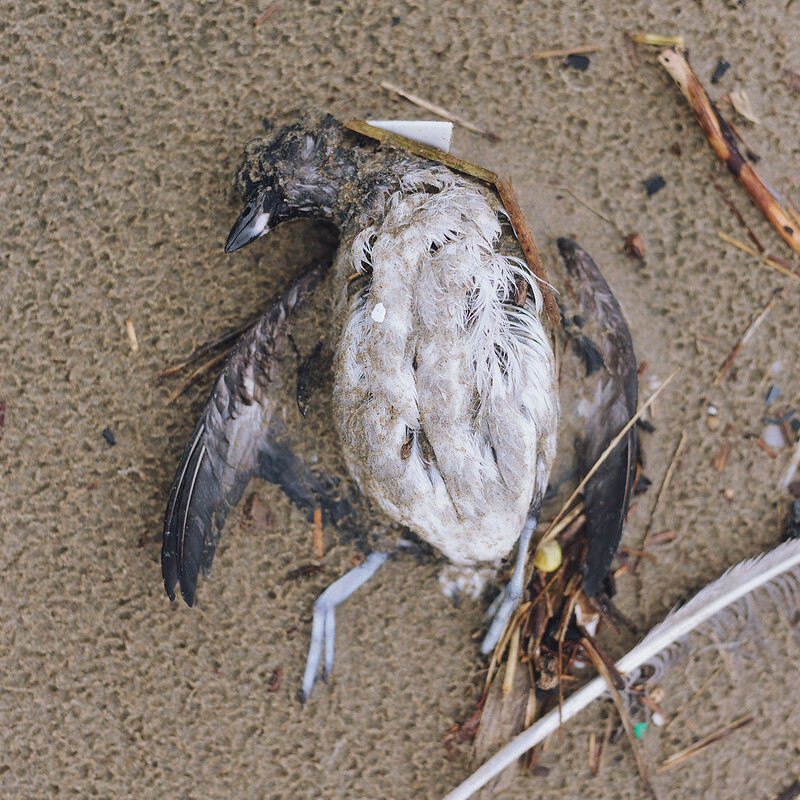 There have been a few noteworthy mass die-offs of birds and aquatic life since I started really paying attention to things like that a few years ago, and the hype comes and goes, if it comes at all. But it’s that way with most things, I guess.